I was familiar with Math Mammoth from my (very) extensive research trying to find a math program that would work for my daughter. At one point, I even used some free placement pages from the Math Mammoth website to get a feel for where she was in terms of grade level. (More on that below.) 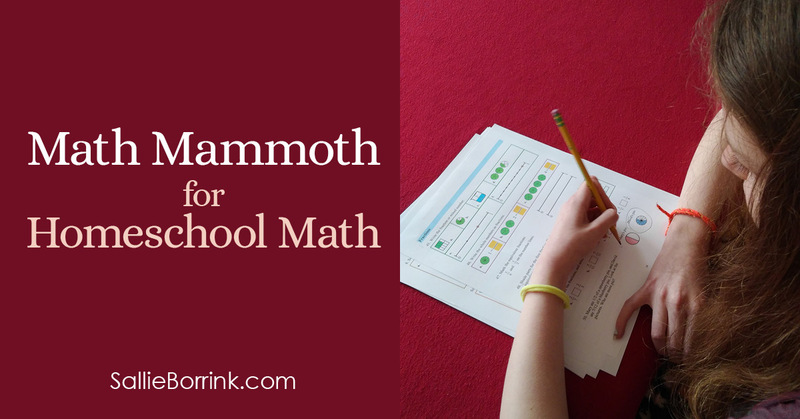 I was interested in Math Mammoth because I had read so many positive reviews about it. But because we were going through gifted/2e testing, I held off on purchasing anything since I had no idea at that point what was going to work. 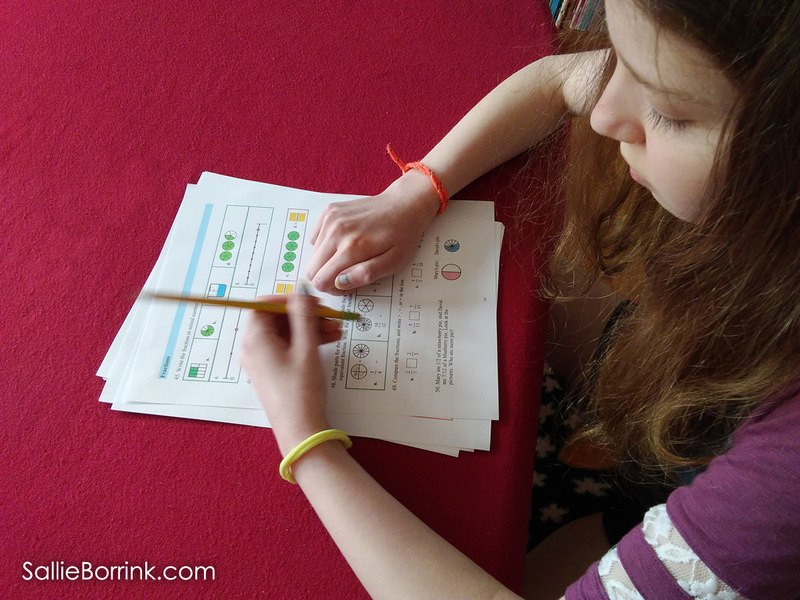 When we had the opportunity to check out the entire Math Mammoth Light Blue Series to review, I was pleased for the chance to see the entire program and try it out. I received this curriculum for free and am being compensated for the time to write this review. All opinions are my own and I was not required to provide a positive review. The Math Mammoth Light Blue Series is a curriculum for grades 1-7 that provides a thorough sequential math curriculum. If you need something that is detailed and provides lots of practice, this would be a great choice. Using a Worktext approach, the curriculum includes both the explanations and the practice on the same pages. Once children can read, they can work fairly independently with this math curriculum. This is a great overview video by the author, Maria Miller, that highlights all the important components of the program. Math Mammoth also has a page devoted to a variety of free samples, videos, and other links that will help you get acquainted with their materials. 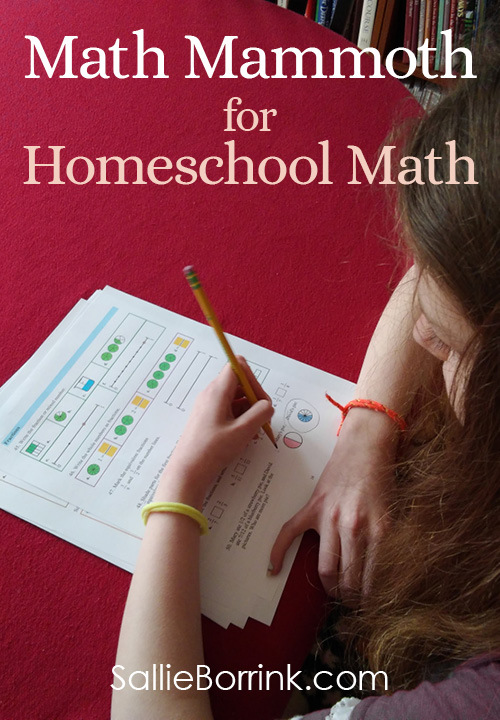 The Math Mammoth Light Blue Series is an affordable option which makes it ideal for many homeschool families who need something that will work with their budget. When you own the PDF series, you are able to use it with all your children. This is a tremendous advantage over consumable workbooks that legally can only be used once with one child. If there is a negative for our family it is that the Math Mammoth worksheets are really busy in terms of the design. This is something that’s come up before when I’ve reviewed curriculum so it certainly isn’t unique to Math Mammoth. Busy design doesn’t work well for some kids who learn differently and Caroline is one of them. For a child who struggles with visual processing, this could be an issue. One way to check this with your own child would be to download some of the free Math Mammoth worksheets available on the website. It will give you the opportunity to see if they will be fine for your child or if he/she might struggle. Downloading a few worksheets that are compatible to what your child is currently doing or has mastered might give you an idea if the worksheets are too busy or not. Math curriculum can vary wildly in terms of what is expected at various grade levels. In order to make sure your child is working with the appropriate grade level materials, it is important to have your children take a Math Mammoth placement test before you start them in a particular grade level. The tests are free and available right here. Maria discusses in the above video how to use the Math Mammoth placement test and this linked page also has a lot of information. If you have a child who is all over in terms of math ability after you do the placement tests, you can send the results to Maria and she will personally help you determine where to start your child. That is an amazing service offered by Math Mammoth, especially if you have a child with dyscalculia or who is gifted/2e and is wildly inconsistent in terms of skills mastered (or not!). We are ahead of Math Mammoth’s level, but I really liked the curriculum when I was hunting to keep up with my girl in that subject. This is a great review.